Developed by the owners of Miami Subs and key equity partner, Armando Christian “Pitbull” Perez, South Florida-based Miami Grill is the hottest fast casual concept to hit the market. A Miami native, Pitbull grew up dining at Miami Subs and recognized the brand's vibrant style and energy as a tremendous franchise opportunity. Miami Grill and its “Everything Goes” concept embody the taste and vibe of South Beach and provide a diverse menu unlike any other chain in the category. 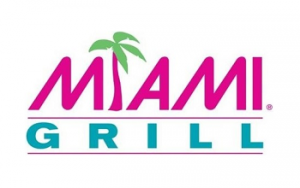 Become a part of the Miami Grill family and share in our success! Miami Grill prides itself on offering a wide range of high-quality favorites, from cheesesteaks and burgers, to wings and salads, to beer and wine. Our philosophy is simple—Everything Goes. Celebrity brand power, community buzz and media hype. Combining a something-for-everyone menu, a fast-casual model, a sleek Miami look and a partnership with international music sensation Pitbull, we’re spearheading an aggressive growth plan. With over 200 Miami Grill restaurants under contract, the brand continues to provide phenomenal opportunities for growth. Become Miami Grill's next success story. Request more information below.